Is Midi still important today? Midi which stands for Musical Instrument Digital Interface is still being used today and it allows electronic musical instruments to communicate and synchronize with each other. Midi became really popular in the 80's when synthesizer companies starting releasing rack units of their popular keyboards so you then could then control many different keyboards and have endless sounds all from one midi controller keyboard. They would also sync a keyboard and a drum machine together so they would playback at the same time. People still heavily use Midi today in similar setups mentioned before. 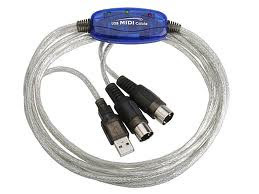 USB has taken over for connecting hardware to your computer but Midi will always be around and is useful depending on your studio setup. They also have Midi to USB cables.